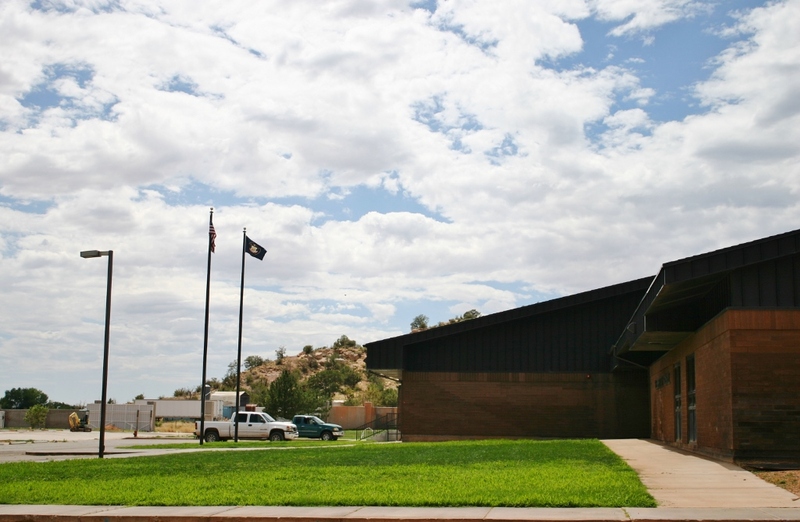 HILDALE – Nine months ago, a Hildale school that sat empty for 13 years was slowly coming back to life. Where dirt had abounded for more than a decade, lawn was going in. Classrooms that had been cobwebbed and desolate were being aired out and readied for their first new pupils since 2001. Out in front of the building, a brand new sign was being erected. Nine months after its reopening, the Water Canyon School, formerly known as Phelps Elementary School, will celebrate its first-ever high school graduation Wednesday. Phelps Elementary was closed by the Washington County School District in 2001 after Warren Jeffs, leader of the Fundamentalist Church of Jesus Christ of Latter Day Saints, ordered his followers to pull their children out of the school in 2000, which caused enrollment to drop severely. In its former incarnation, the Water Canyon School did not house high school students, so 2014-15 has marked the first year high school pupils have been educated at the school. When Water Canyon School opened in August 2014, incoming seniors who had previously attended El Capitan School in Colorado City, Arizona, were given the choice to finish out their high school careers at El Capitan or move to the new Water Canyon School, which offers classes for preschool through high school-aged children. 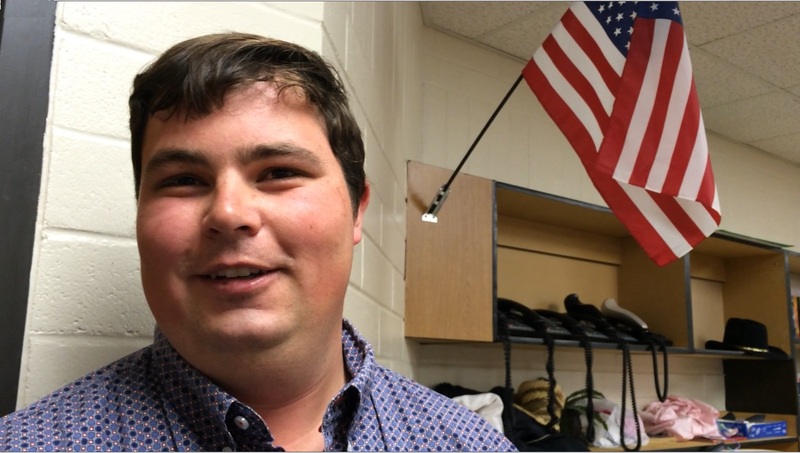 Just one senior student chose to forge new paths at Water Canyon School: Hildale resident Danny Jessop. Jessop will be the sole graduate at Wednesday’s commencement ceremony, having completed his final high school year as the only member of his senior class. “I get the opportunity to be the first graduating out of this new school,” Jessop said. Jessop said being the only senior wasn’t as strange as he thought it would be. He said he kept busy with a lot of online work and making up credits in order to be ready for graduation. 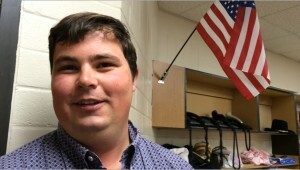 Jessop said his solo graduation ceremony will consist of him singing a song and possibly a giving a speech, along with speeches offered by others affiliated with Water Canyon School. “It’s going to be just like any other graduation, except for with one,” he said. Where Jessop has broken new ground, a larger number of seniors will follow in the fall. Thomas said there are currently about 10 junior students who will enter the senior class next year, with possibly more enrolling over the summer. With students attending from Apple Valley, the stretch of state Route 59 between Apple Valley and Hildale, and Hildale itself, Water Canyon’s enrollment numbers have exceeded all expectations in the school’s first year. “I was optimistic, but I wasn’t sure what to expect,” Thomas said. He said he’s been pleasantly surprised by the school’s growth. The enrollment goal for Water Canyon School’s first year was 150 students, and enrollment numbers were already at 162 by the time school started last August. Now, at the conclusion of the academic year, the number of students enrolled at Water Canyon is 220. One catalyst for Water Canyon School’s fast growth is that families are returning to the Short Creek area, which is a nickname for the Colorado City and Hildale communities, after purchasing homes through the United Effort Plan Trust. The UEP Trust was created by the FLDS church in the 1940s, but it was reformed by Utah’s 3rd District Court to administer housing solutions and benefits to members of the trust. As FLDS families have been evicted from trust-held homes for nonpayment of fees and taxes, homes have been sold and auctioned off to ex-FLDS members who have familial ties to the properties. In keeping with the school’s growth, some big projects will take place at Water Canyon School over the summer months to refurbish and expand facilities. In addition to having some of the air conditioners replaced in the building and the school’s roof repaired, Thomas said, the bathrooms in the school will be redone, workers will add on to the school’s kitchen, and some storage rooms will be converted into classrooms. Additionally, a warehouse on the campus will be expanded and renovated to house a gymnasium, complete with full basketball court, bleachers, a weight room and locker rooms. The revamped warehouse will also contain an art room, a home economics room, a science lab, and some office and counseling spaces. The addition of the gym will allow Water Canyon School to implement a sports program next year. “We’ll actually be able to compete in Region 20 for sports,” Thomas said. Next fall, the school will start boys and girls basketball programs and possibly volleyball, with potentially more sports to come. As the physical campus grows and offered programs increase at Water Canyon, Thomas said he believes the student body will also continue growing. Congratulations, Danny! The name Darin Thomas sounds familiar. Was he a principal or vice principal at another school previously?